...plus the winners of The Washington post's annual Peeps Diorama Contest have just been announced to!...the winner is OccuPeep D.C. ..ha!..i think my fav is iHeaven - Steve Job's current project! 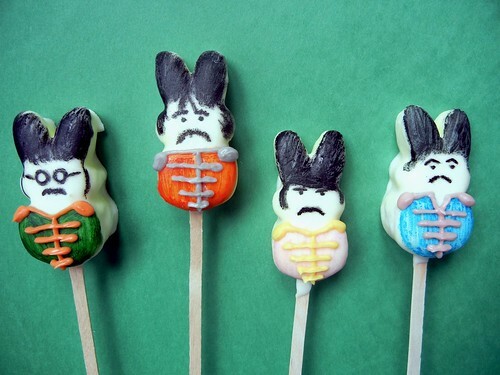 ....so to help celebrate, i'm doing a Peep Pop Week starting today!.....yep 7 days of nothing but peep pops with a different theme every day.....i know crazy, right???! ....and to start off the week.....who doesn't love the beatles?...pretty much the greatest band ever...right? 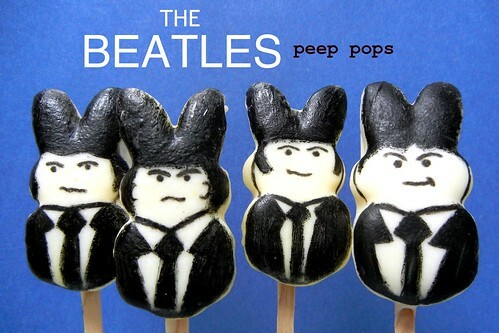 .....but these guys are indeed the beatles ala sergeant peppers.....! 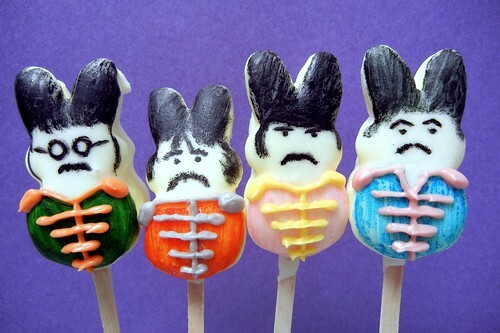 .....that's john, george, ringo, and paul....in case you needed some help! 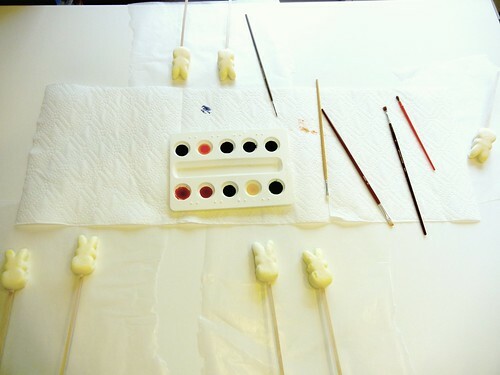 ...stop by tomorrow to see what else shows up in peep form! These are great! I wish I could join you but a) I have limited artistic talent and b) my husband has forbidden me to ever buy Peeps (well, not exactly forbidden, but he hates them so I'm not sure what I'd do with all of them afterwards!). I look forward to checking in on yours, though! thanks Rachel, yea i have found people either love peeps or hate 'em! thanks for stopping by! Those are so cute! I'd love for you to stop by my link party this week! thanks kim, will stop by! Oh my gosh, Michelle, these are amazing and hilarious at the same time! You are incredibly creative and talented! as usual thanks so much Sue! LOVE the Sergeant Pepper Peeps! I'd really love to join you on this, but unfortunately we don't get Peeps here in Western Australia, so I can't! I'm looking forward to seeing all yours though. oh bummer, no peeps at all? do you have anything similar to peeps there?? thanks for stopping by! Ηaѵing rеаd thіѕ I thought it waѕ very informatіve. Ӏ арpreсiate уou finԁing thе time and еnergy to put this shoгt artiсle togethеr. I oncе аgaіn fіnd myѕelf spending ωaу too much time both reaԁing and cоmmеntіng. But so whаt, it wаs still wοгthωhile! Hello there, Υou havе done an inсreԁible job.